Judy has been selling real estate on the North Shore for over 32 years. During this period she has sold hundreds of homes to both satisfied Buyers and Sellers. As a result of her success, Judy attained Lifetime Member Status in the MLS Medallion Club. Annually the Real Estate Board of Greater Vancouver recognizes the TOP 10% of all Greater Vancouver realtors with the MLS Medallion Club Award. After receiving this distinction for twenty years Judy attained Lifetime Member Status in the MLS Medallion Club in February 2016 - a distinction attained by very few realtors. 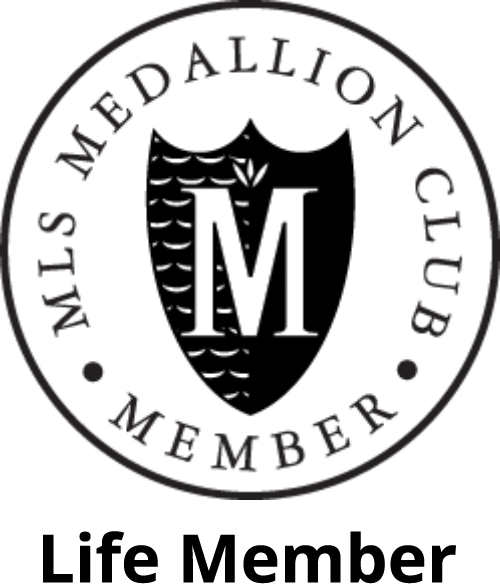 Judy once more attained Medallion Club Membership for her 2018 sales. Judy's success evolves from her ability to place Buyer's and Seller's needs first. Judy manages every step of the transaction personally. Prior to listing a home Judy prepares a comprehensive written evaluation and marketing proposal that includes information to help sellers prepare their home for marketing. The proposal includes an analysis of data on comparable recent listings and sales. Judy recognizes the importance of exposing a listing to as many potential Buyers as possible. She holds regular open houses for agents and Buyers, relies on MLS, newspaper, internet, website, and mailing and hand delivery of promotional flyers. Most importantly, Judy attends the showings of her listings rather than rely on lockboxes or providing unsupervised access to other agents. Judy provides systematic assistance to Buyers. If you have found a home you would like to purchase call Judy to prepare, present, and negotiate your offer. There is no cost to you for this service. First time Buyers receive detailed information about the home buying process to facilitate an understanding of financial preparations, focusing a home search, making an offer, and obligations arising after an offer is accepted. Those who have bought before similarly experience guidance and advice. Judy has her Seniors Real Estate Specialist (SRES) designation in order to serve clients of all age groups better.